The large villa has an inside area of 82 square meters and a sleeping loft of 30 square meters. The villa includes three 2 person bedrooms, a bathroom, washroom, sauna, and a kitchen. The sleeping loft has 6 further beds, bringing the total number of beds to 12. Among other equipment, the villa includes a television and fully equipped kitchen. Each villa has a unique fireplace. The villa also has a large roofed and furnished patio. Our rowboats are at the disposal of our guests. The medium-sized villa has an inside are of 51 square meters and a sleeping loft of 15 square meters. The villa includes two 2 person bedrooms, a bathroom, washroom, sauna, and a kitchen. The sleeping loft has 4 further beds, bringing the total number of beds to 8. Each villa has a unique fireplace. Also a television and a fully equipped kitchen are included. The villa also has a large roofed and furnished patio. Our rowboats are at the disposal of our guests. 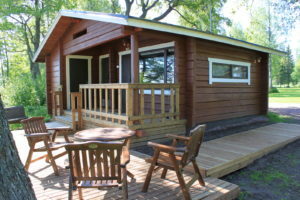 Our holiday village has three separate additional saunas, with the possibility to stay for the night. 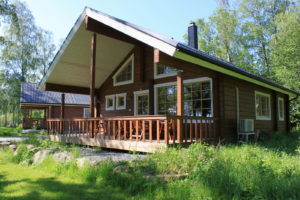 Sauna A is located just a few meters from the sea. Three people at the most can spend the night in this small sauna cottage. The sauna cottage includes a fully equipped kitchen, a bathroom, a washroom, a sauna, a television, radio and a furnished patio. The sauna has been recently renovated. Sauna B is the largest of our saunas, and offers accommodations for a maximum of 6 people. It is located just a few meters from the sea. The sauna itself is very large, with a wood-heated stove. The sauna is large enough for about 10 people. 4 people can sleep in the kitchen area and 2 more in the lockerroom. The kitchen are is large enough for 12 people to dine there. The kitchen is fully equipped. The large patio also includes a wood-heated hot tub. 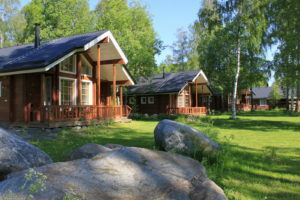 The sauna building has been renovated in 2012. 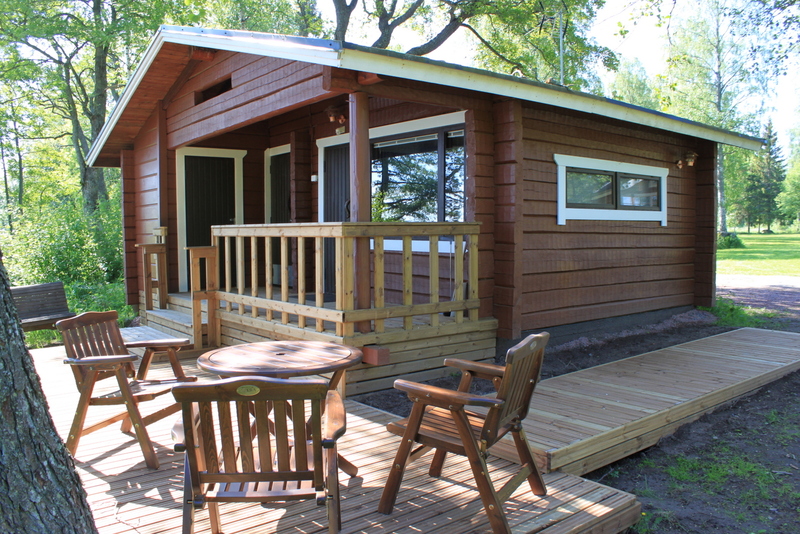 Sauna C is our newest sauna on the shore has a very large sauna compartment, that is large enough for 10 people. Two showers, a wood-heated hot tub, and a large patio create the perfect circustances for a refreshing evening on the shore. The building includes a lockerroom, bathroom and a small kitchen. There is also a sleeping loft with 3-4 beds. The sauna is located on the beach. The hot tub is heated only by Anttoora holiday village staff, or with their guidance. Towels, catering and cleaning can be arranged by Anttoora staff if so desired.